If you're on a tight budget, it doesn’t mean your kids have to be disappointed at Christmas or on their birthdays. 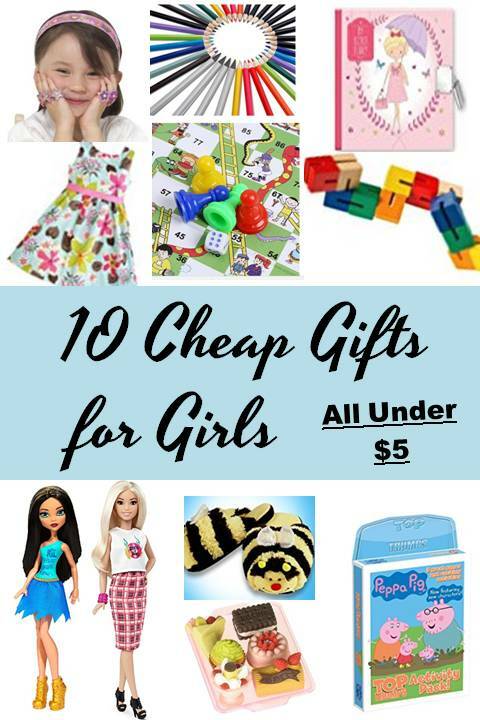 There are great toys and gifts for kids that are very affordable and will put a big smile on a face just the same. Coloring Pencils: Does your child like to draw and color? Paint can be expensive, but it’s possible to buy decent quality coloring pencils at a cheaper price. Why not shop around your local art supply store and see what’s available? Take a look at this Eparon 36-Piece Artist Pencil Set. It includes 12 Standard Colored Pencils, 8 Graphite Pencils, 4 Charcoal Pencils and 12 Watercolor Pencils. This is perfect for all types of coloring that your child may like to do. Board Games: Some board games aren’t all that cheap, but plenty are. My kids and I like playing the Snake and Ladder board game. A good board game like that is a toy that the whole family can enjoy again and again. A cheaper variation of the classic Snake and Ladder board games come with foldable mats. Top Trumps: There are a lot of selection of Top Trumps sets available. Two or more players compete with these decks of cards, and they are portable, which makes them great on journeys. A classic. This Peppa Pig Activity Pack Game Top Trumps includes a mini version of the classic Top Trumps game. All players read out a stat from their cards and place the cards in the center. The player with the highest stat wins all cards in the centre. Dolls: Almost all girls like to get dolls for a present. There is a wide selection of dolls available and can be bought at good prices. Just be sure to choose a doll that you think your little girl will like. Tip: Look for dolls on sale like this Barbie Fashionistas Doll or Monster High Cheerleading Cleo De Nile Doll. Fancy Dress: One of the gifts on my youngest daughter's wish list for Christmas is a dress. Many are on sale this time of the year, so you can easily find one under $5. But if you're really tight on budget, you don't have to buy a new dress. What you can do is gather up some old clothes from family and friends, the quirkier the better. Then, put them in a clothes basket and give them as a “fancy dress” hamper. They’ll have a great time dressing up. They can even put together their own plays for fun. Eraser set: I am not sure why but my daughter likes to have erasers with different designs. And I just found this Iwako Japanese Chinese Foods Eraser Set that I think she will love. She may not end up using these as erasers, but she will have some fun playing with them. She can pretend to cook these foods for her Barbie dolls. There are a few eraser sets with different designs available but some are a bit higher than $5. Socks And Slippers: Socks with funny patterns, or novelty slippers can go down a storm and cost fairly little. Why not get your kids some cute socks, and animal slippers like this pair of bee slippers? Puzzle Toys: Rubik’s cubes, fidget toys, chess sets, jigsaw puzzles and more all make great affordable toys. They usually keep kids occupied for a long time and are educational, too. Diary: Some girls like to write stuff on their own diary. This is a great gift idea as she may like to have a different diary every year. This is also on my daughter's wish list of Christmas gifts. Hair Accessories: This is something that girls do not seem to have enough of, especially those with long hair. You can easily make a jar of hair accessories to give out to your daughter, your niece and her friends. If your girl wants something that she can personalize, then the Melissa & Doug Design Your Own Headbands Jewelry-Making kit is perfect. Great suggestions. I feel like it is easier to buy gifts for girls than boys. There are so many affordable choices. Pag boys parang ang mahal ng mga gamit and toys nila. Hehe..
wow! There's so many cute and good idea for gift for this coming holidays season. I'm a bit too late na sa pag prepare ng gifts for my inaanaks, haha! I think I have 3 who are 5 below, maybe more. Thanks for the tips! very nice article..I think it will be great for many. I definitely will try from all. I wish I have a baby girl, hihi. Anyway, last Sunday we went to a mall to look for a gift for my son's monita. Ang hirap maghanap ng 150-peso gift. I ended up buying more than what the price is. Anyway, Christmas naman. Some cute stuff here. Good for any time!